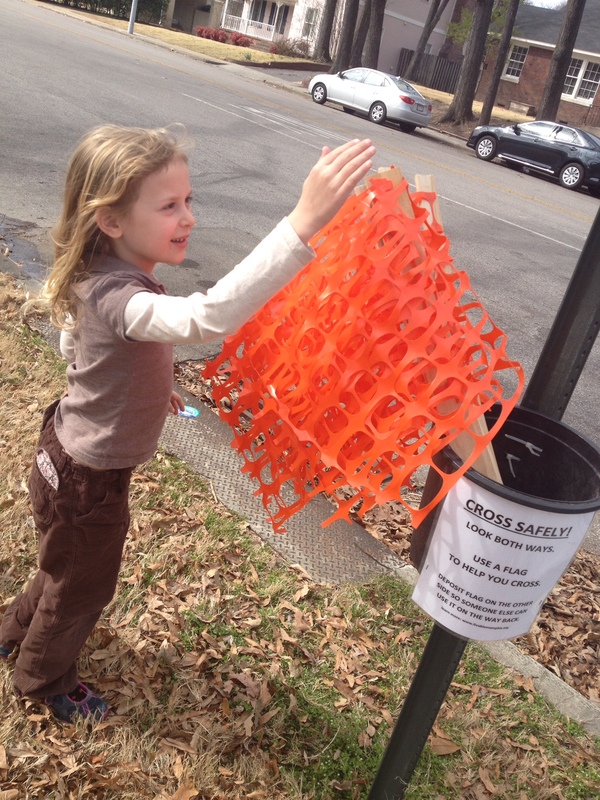 Tactical urbanism projects serve the public good, from making it safer for families in Memphis to cross a busy street to giving bus riders in Lithonia a more enjoyable commute. In case you missed it, John Bela’s piece in Next City last week gave a fantastic look at how cities like San Francisco, New York, and Philadelphia are incorporating some of the tenets of tactical urbanism into their capital programs. Here at ioby, we’ve been following this trend with keen interest, and have been particularly inspired by local government support for inspiring citizen-led projects in the City of Memphis and Shelby County. 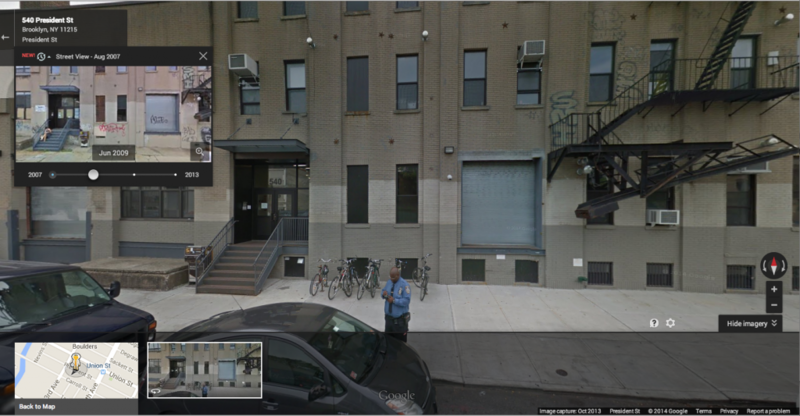 Pacello points to two examples that illustrate the city’s approach to iterative placemaking. At an intersection in South Memphis that sees heavy pedestrian traffic, the city used paint and plastic bollards to temporarily enhance a highly trafficked intersection with a better crosswalk and bump-outs. Then, after a year of studying the effects of the treatment, the city is planning to make the improvements permanent. In Downtown Memphis, the City used similarly inexpensive materials to test a road diet – complete with protected bike lanes and additional pedestrian space – on Riverside Drive. Now the City is measuring community response for a year and plans to make permanent improvements based on community feedback. In acting as a tactician, Memphis has established itself as a leader among cities looking to incorporate design thinking into its approach to problem solving. At the same time, citizens in Memphis have demonstrated the same level of commitment to taking a measured, incremental approach to public space transformation. Back in 2010, neighbors in Binghampton – a neighborhood that suffered from severe disinvestment after the construction of I-40 cut right through the heart of it – came together to reimagine Broad Avenue, the community’s historic main street thoroughfare. Inspired by the Better Block method, the community planned “New Face for an Old Broad,” a two-day intervention followed by a series of many more small, low-risk projects meant to help neighbors, businesses, and government imagine this stretch of Broad Avenue as a thriving commercial corridor. They painted protected bike lanes, staged pop-ups in vacant storefronts, and invited musicians and artists to provide cultural programming. The event was a tremendous success, and heralded $2.5 million in private investment in the next year alone. Four years later, the commercial district boasted 95% occupancy and a total of nearly $40 million in private investment. The city, inspired by this citizen-led movement, worked with local cycling advocates, businesses, and the team at Livable Memphis to raise the funds to make that bike lane on Broad Avenue permanent. This two-way protected bike lane is part of what is now known as the Hampline, and the majority of it was paid for by a combination of federal, state, city, and private funds. But in late 2013, when the team behind the Hampline realized that they were about $70,000 short of meeting their target, they turned to neighbors on ioby for support. Later that year, the team had raised enough in citizen philanthropy to begin the timely installation of the bike lane. But what happens when city bureaucracies and private developers adopt the tactics of guerilla artists. Do they lose their potency and radical potential? Do they actually result in more resilient and just neighborhoods? Can tactical urbanism catalyze institutional change? Bela outlines concerns that skeptics have voiced about the public sector turning to tactical urbanism. Namely, some are worried about governments that are increasingly relying on private partners to supply the resources, while communities have always relied on government to ensure the equitable distribution of public resources. This messaging problem poses some challenges for proponents of tactical urbanism, which is founded in principles of equity and the importance of broad civic engagement. At ioby, we believe that an important role of government is to facilitate and encourage citizen-led interventions in neighborhoods with histories of disinvestment. 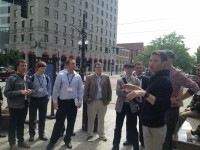 Municipal government is uniquely positioned to create a permitting and regulatory environment that is favorable to the tactical urbanist, and eliminate barriers to would-be leaders in priority neighborhoods. Based on nearly five years of working with more than 750 leaders, we’ve learned a few things about the psyche of the self-starting urbanist. Specifically we have found that people with great ideas to improve their neighborhoods are put off by two significant barriers: First, a lack of confidence, bred by a limited knowledge of permitting procedures and a fear being penalized for staging a public space intervention; and second, a lack of timely, right-sized funding. ioby’s crowd-resourcing platform funnels capital from the neighborhood – financial, social, and in-kind – to citizen-led projects. ioby offers neighborhood leaders the tools and guidance that they need to bring their ideas to life. Still, even equipped with resources and support, onerous and intimidating permitting requirements are roadblocks that prevent leaders in underinvested neighborhoods from taking on tactical urbanism projects. A year into our partnership with Memphis, we are excited to build on this innovative way that we have worked with government to support tactical urbanists. Right now, ioby is working with the Memphis-Shelby County Office of Sustainability to find ways to find, encourage, and support Memphians looking to make their neighborhoods stronger and more livable. Together, we hope to build a system that will integrate ioby’s crowd-resourcing platform into a neighborhood visioning process. 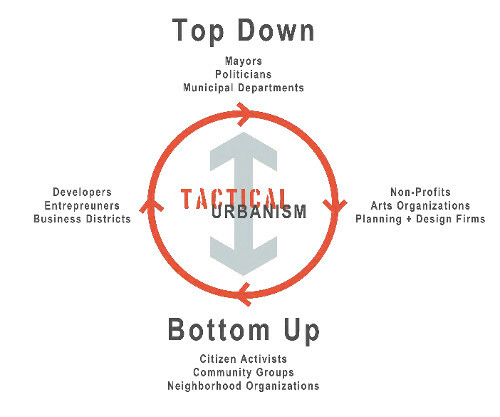 Thanks to StreetPlans for this useful graphic about the Top Down, Bottom Up cycle of citizen and government interactions in tactical urbanism. As communities work with the Office of Sustainability and their partners to develop long-term goals for their neighborhoods, ioby will equip them with fundraising and organizing tools they need to take on shorter-term projects toward their visions. If successful, city and county government will be able to keep an eye on these initiatives taking form, deploy resources where needed, and expedite approvals where possible. Through our partnership, ioby hopes to facilitate the “measure, test, refine” model made famous by pioneers like Bela. As they aim to encourage tacticians engaging in iterative placemaking, cities like Memphis could reorient their procedures and policies to accommodate leaders in neighborhoods where obstacles to civic participation are most significant. To sum our reply to Bela’s questions, the involvement of city government does not threaten the integrity of the tactical urbanism movement. In fact, we boldly suggest that with the right kind of thoughtful public investment and policy adjustment, governments can grow and diversify the legions of tacticians that are taking root in cities across the country. 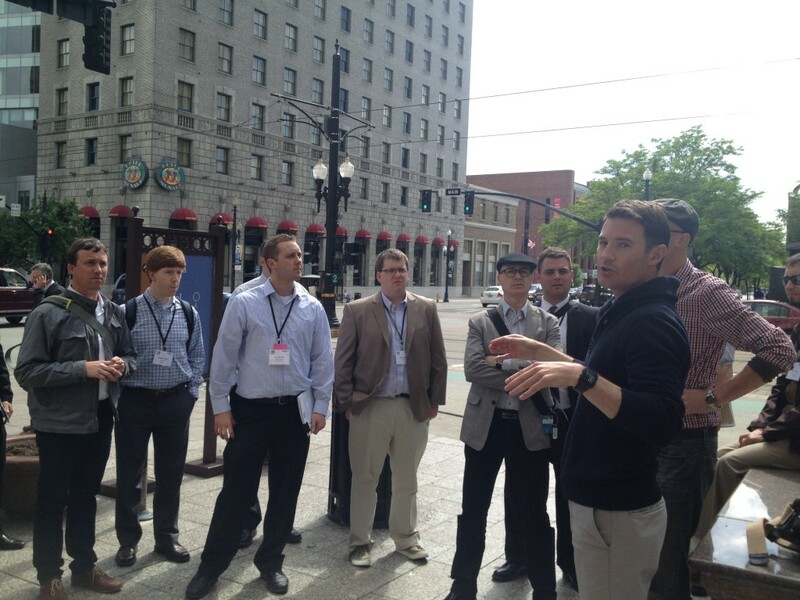 ioby was very happy to participate at CNU 21 in Salt Lake City this May. In addition, to running a pop-up idea café (that also provided new urbanists with much needed caffeine), we were part of an innovative 202 on tactical urbanism with Mike Lydon, principal at StreetPlans, Tommy Pacello with the Memphis Mayor’s Innovation Delivery Team, Ian Wolfe Ross, City Design Collective, and Jason Roberts, founder of the Better Block. Tactical Urbanism, similar to Lighter Quicker Cheaper, is a concept that hits to the core of ioby’s work. Small-scale or short-term demonstration projects can be implemented quickly, or temporarily, on a small budget, but work to transform the community’s understanding of public space. An example is the 78th Street Play Street, that, using a Department of Transportation Play Street permit was temporarily opened for play and closed to car traffic three summers in row, and is now designated a permanent playground. Easy wins are an important way to ensure participation in what can often be a slow and grueling public process. Moreover, small-scale projects remind residents that they have the ability to make change in their communities, a key part of civic engagement. And in fact, the scale of ioby projects is often small. Projects are either short-term demonstrations or small-scale neighborhood projects (see above section on tactical urbanism). While some may be quick to dismiss small projects, we believe small projects play an important role. They provide an opportunity for quick results and easy feel good wins, which are incredibly important for a community that is fatigued with a legacy of hopelessness and skepticism, as is exactly the case in Miami, or Detroit, or possibly your home town. In addition, because with ioby people contribute relatively small donations and volunteer for just a few hours, there is a feeling that change can happen, without herculean effort. An important reminder for all of us changemakers out there.